A couple of weekends ago, I received this box from my parents. After I brought the box home I went through all the dolls in this box. Some had been deboxed then put back in the box and some had not been taken out at all. Of the ones that were still fresh in the box, some had boxes that were horribly destroyed so that played a part in which ones I fully deboxed and which ones I didn't. So one Saturday I grabbed the box, went to the living room, found a nice backdrop and went to town taking pictures. This is the post of the ones I kept in the box. :) Let's get to it! 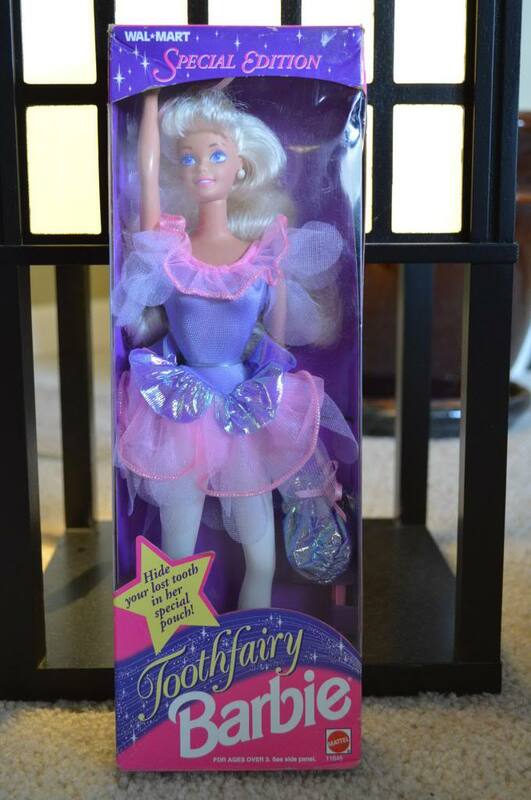 First we have the most lovely Toothfairy Barbie. I believe she is from 1994 (someone correct me if I'm wrong) and she is a Wal-Mart Special Edition. 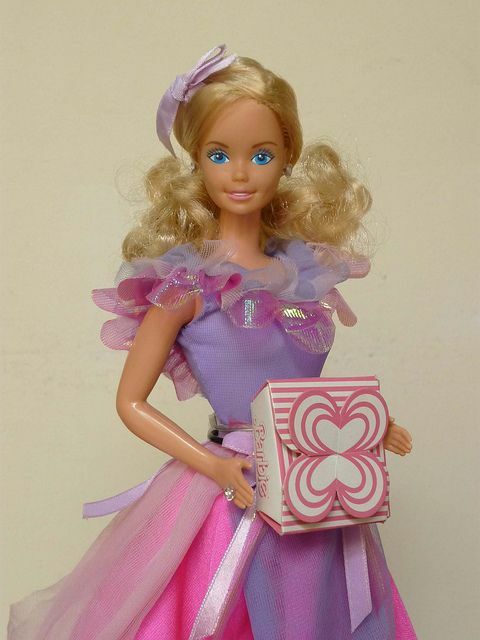 The style and color of her dress reminds me of another doll from my childhood. The cutest thing about this doll is she has a little bag to put your tooth in. 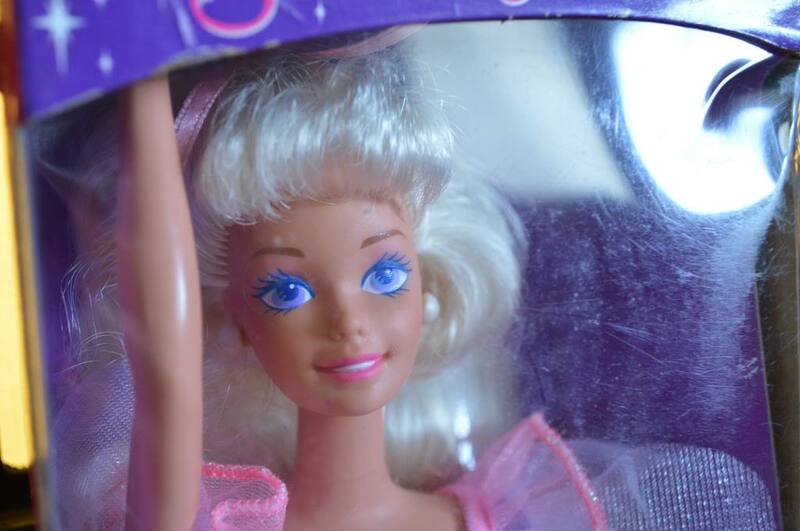 And she has that classic pretty Barbie face. 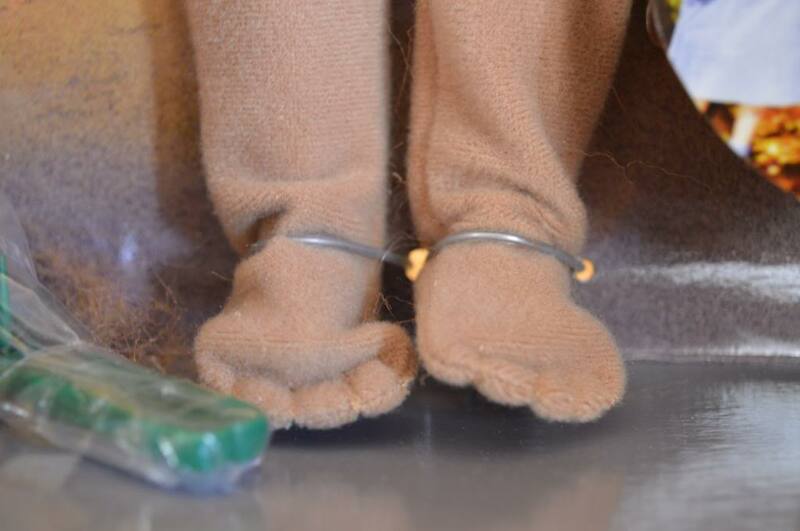 This doll has solid white legs and wears molded on ballet slippers. She also comes with a comb. The next two dolls that are being kept in the box are not Barbie's at all but Barbie friends! Look at who is next! 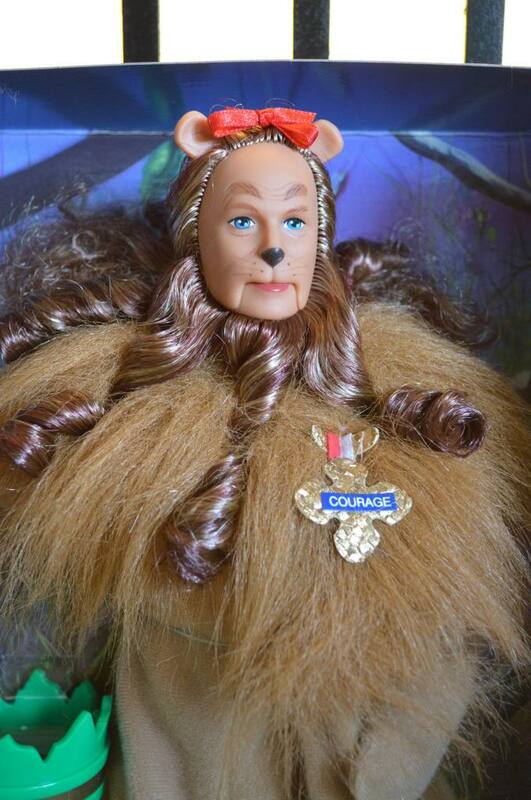 This is Ken as the Cowardly Lion from the 1999 Wizard of Oz doll set. LOVE! 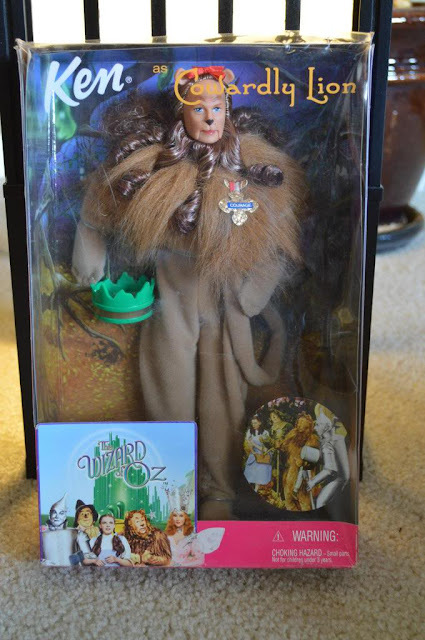 I love the Wizard of Oz and have longed for the Dorothy and Glenda the Good Witch dolls. 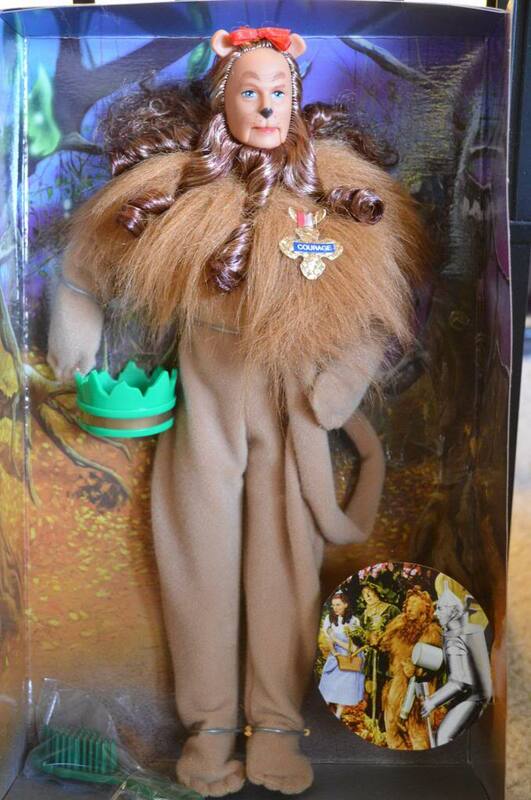 But now I have the Cowardly Lion Ken for when I do get Dorothy and Glenda! Ken's box was not bad however it was friendly so I could take deboxed pictures! I would have liked to adjust the curls a little bit however they are sewn into his mane so there is no moving them. 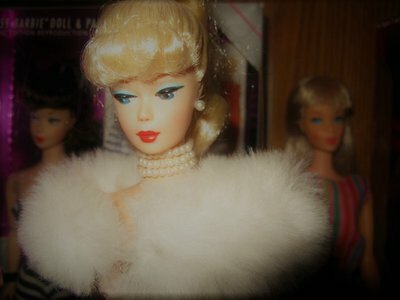 They are also very stiff like holiday Barbie up-do's. He has his courage badge and the bow in his hair. The costume Ken wears has the paws sewn in. Cute! He is holding his tail and has a green crown. He also comes with a green comb. 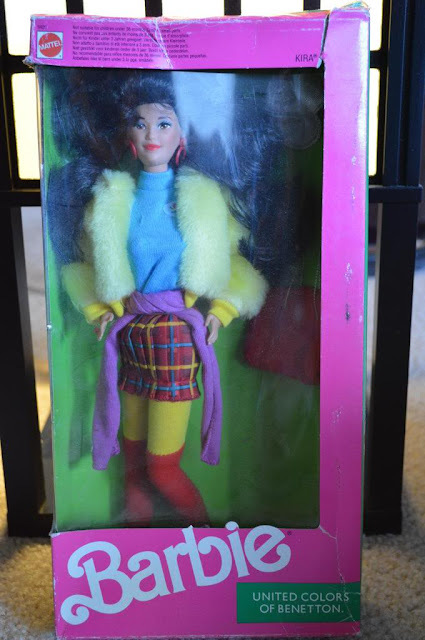 This doll is in really great condition and I'm lucky to have it! What a treat. The last doll we have for today is one I have seen before but did not know too much about. We have the United Colors of Benetton Kira doll. Her box is semi-distressed and has been opened but she is still connected to her cardboard so I opted to not take her out. I didn't know too much about the United Colors of Benetton so I did a quick Wikipedia search and saw that this was a fashion label from I believe Italy. The page wasn't very informative but at least I know what it is now! Loving Kira's yellow fuzzy jacket. And this is the Kira face that I grew up with. Love it. I also took a picture of the back of the box to show the other dolls. 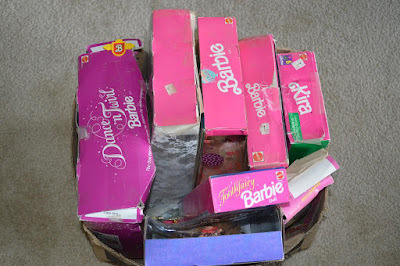 You can't tell me that you don't love Barbie's tights! Ken has the western theme going on! Does anyone have anymore information on the United Colors of Benetton dolls? Are they super collectible? I thought I saw somewhere that they were sought after but I could be wrong. That is all for today. 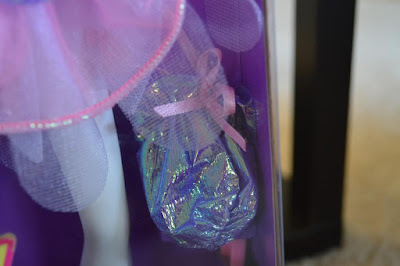 The next two posts will be dedicated to the dolls that I took out of the box. And what fun it was! So friends, do you have any of these dolls? Maybe you have the collection of the Wizard of Oz or United Colors of Benetton dolls. Let me know in the comments! Awesome stuff! I know I have seen the united colors of Benetton doll somewhere, but I don't know where... Hmm... I will get back to you on that! They are very unique! I don't think they were well known as least that I know. I don't remember ever seeing them as a child. As I got older they popped up in something I was looking at but not a whole lot. I get the impression that Benneton dolls are quite collectable too, although they aren't really my area I have noticed that they tend to go for relatively good money on eBay. I love this Kira, she's got a great face and outfit. Congrats - I look forward to seeing your deboxed dolls! Awesome find. I haven't seen the Cowardly Lion in a while. 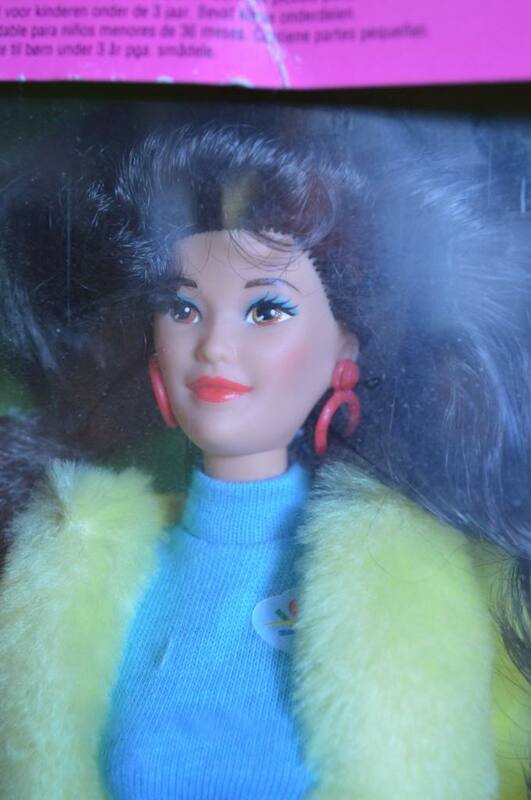 Lea - I have seen the Barbie sculpt Glenda. She is absolutely beautiful. And she has a poofy dress, even better for Barbie!! I knew you especially would love my deboxed extravaganza. Now to just write up the post! Sandra - Thanks so much! It's been a while since I've seen him too but he's fantastic! Congrats on your new additions! Love the lion, they even managed a pretty close resemblance to the movie character. 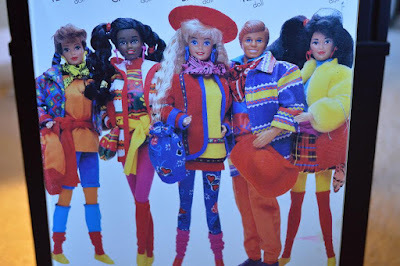 I have always loved the colorful outfits of the Benetton dolls. Benetton was all the rage for teenagers in the 80s, at least in Europe. I only have a boxed version of Kira, but I managed to get the rest of the dolls over time. Still missing parts of Teresa's and Chtistie's outfits though.